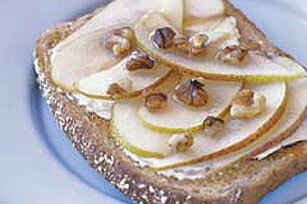 Easier than French toast and crunchier than pear jam, this Nutty Pear Toast is its own unique kind of delicious! Spread toast with reduced-fat cream cheese. Sprinkle with raisins before serving.